Having resigned in disgrace in September as yet another round of sexual misconduct exposes were made public, Moonves had a $120 million package in his contract with the now Shari Redstone dominated company that he made into the most watched network in America. The already well heeled Moonves won’t be unable to pay his Visa bill anytime soon but the loss of that golden parachute had to be a harsh fall on top of weeks of media water torture via a draft of the investigator’s report that was leaked. 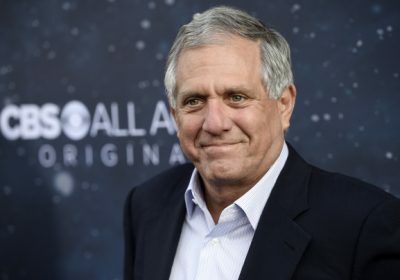 “Consistent with the pattern of leaks that have permeated this ‘process;, the press was informed of these baseless conclusions before Mr. Moonves, further damaging his name, reputation, career and legacy,” added Andrew Levander of the completion of the investigation into the once near omnipotent exec’s misconduct over what appears to be decades and the subsequent cover-up – which is always what gets them. “Mr. Moonves vehemently denies any non-consensual sexual relations and cooperated extensively and fully with investigators,” the Dechart partner and former Assistant U.S. Attorney for the Southern District of New York in the Securities and Commodities Fraud Unit concluded. All of which is a nicely worded opening salvo to what is certain to be a long legal action in arbitration or elsewhere as Moonves goes after the now Joe Ianniello run CBS and the investigating law firms for the leaks and his money. This is after all, the man who gave the green light to Survivor. “The public has a right to know who at CBS was aware of Mr. Moonves’ alleged misconduct and when they knew of it,” the lawyer who is representing four women who participated in the investigation after claiming Moonves victimized them.